Huawei’s latest flagship smartphone is now available in Canada from most carriers, including Bell, Rogers, Telus, Virgin Mobile, Fido, Koodo, SaskTel and Videotron. The Mate 20 Pro features a Kirin 980 processor with a seven-nanometer artificial intelligence chipset, 128GB of storage, 6GB of RAM, a 6.3-inch OLED display and a triple rear-facing camera setup with 40-megapixel, 20-megapixel and 8-megapixel camera sensors. In addition, this is the first time a Mate series has been available in Canada. 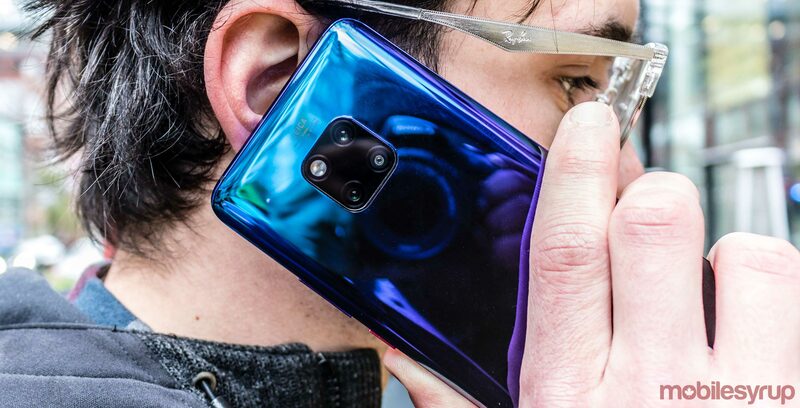 The phone features premium specs, including an in-display fingerprint sensor, IR camera, flood illuminator, a TOF proximity sensor, and more importantly comes the ability to reverse wireless charge any Qi wireless product. As for price, depending on the carrier, the no-term price ranges from $1,199.99 to $1,299.99. The 2-year contract price starts at $250 to $970.